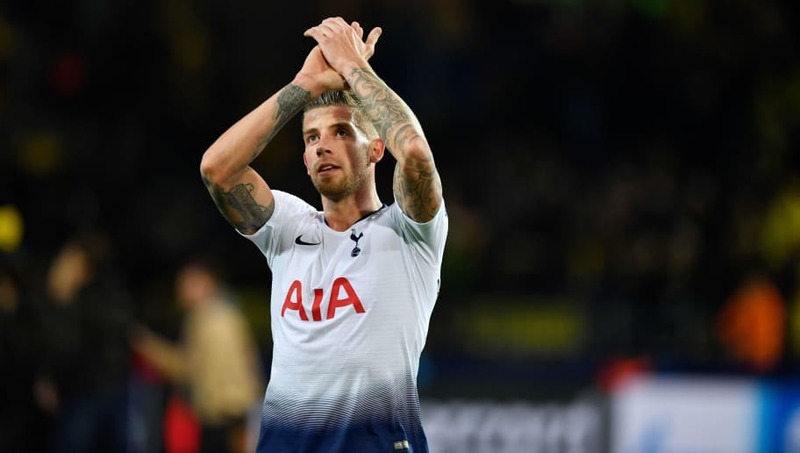 Manchester United are the frontrunners to sign Toby Alderweireld this summer for as little as £26m as Tottenham are resigned to losing their star defender. The Belgium international is entering the last few months of his contract in north London and had been tipped to leave the club during the last two transfer windows, but Spurs have held onto their wantaway defender for one more year. In January, Tottenham activated a counter-clause in Alderweireld's contract which will allow him to leave the club for £26m, but only in the final two weeks of the summer transfer window. If the clause is not met, Alderweireld could leave on a free transfer in the summer of 2020. The Mirror claims that Manchester United will push their way to the front of the cue for Alderweireld's signature ahead of fellow suitors Juventus and Barcelona. Alderweireld has spent the last four years at Tottenham where he's formed a formidable partnership with compatriot Jan Vertonghen. Predictable @ManUtd. Short term cheap move 4 a decent but somewhat injury-prone 30 year old CB & sell a much younger player with potential to improve 4 similar price, despite his resale value. Who needs to spend big on world class Koulibaly or similar when we can scrimp as usual? He's gone on to make 147 appearances for the club since his £14.4m move from Atlético Madrid, while he also has another year's experience in the Premier League thanks to a season-long loan spell with Southampton. Manchester United have been heavily linked with Alderweireld for some time and it wasn't known how José Mourinho's departure could impact their move for the Belgian centre-back. But The Mirror's report claims that United will be listening to offers for Eric Bailly at the end of the season and will look to bring in Alderweireld as a direct replacement for Ole Gunnar Solskjaer. The Norwegian still hasn't been confirmed as United's manager on a full-time basis, but following their incredible comeback against Paris Saint-Germain in the Champions League, it seems to be just a matter of time before Solskjaer loses the tag of caretaker boss.